"Your cats are so kind!" The photo above prompted this comment from one of our students in Elektrostal. It reminded me that I've always loved the way English-learners in Russia tend to use the adjective "kind." It's rare that a single word in one language is a perfect translation for a single word in another language. Words carry clusters of nuances that often are either wider or narrower than the most obvious equivalent in the other language. The Russian language provides lots of examples, as I've noted before. Today's example is the word "kind," one of the translations of the Russian word "dobry" (and several other Russian words, for that matter). When those of us who speak English as more or less a first language use the adjective "kind," we're usually referring to people, referring to their warm, generous, tender spirits. We also use the word to describe acts associated with those sorts of people: "That was a kind thing to do." Another way that Russians frequently use the English word "kind" is in describing works of art, especially films. I can't count how many times I've heard the classic Soviet films described by Russians as "kind" in referring to those films' gentle promotion of positive values and attitudes. And it's true; many Soviet-era films, and especially children's cartoons, had a moral core of kindness that might be hard for Americans to square with our image of the Soviet system's systematic cruelty and duplicity. Given the reality of this Russian paradox--kindness and cruelty in such a tight binary orbit--could it be that the sensitivity to kindness among some Russians is a sort of compensatory mechanism? It's not for me to say. I don't like generalizing about actual human beings. But this conversation about our cats took place only a couple of days after I was talking with another Russian friend about a bit of organizational politics I'd witnessed a couple of years ago, when a treasurer was replaced rather brusquely (to my mind) by another member of the organization. The new treasurer seemed to me to have acted quite aggressively in laying claim to the job, and I couldn't help wondering whether I could have done something at the time to insert more grace into the situation. My conversation partner confirmed that the earlier treasurer had indeed felt bruised by the whole episode. "It's our Russian mentality," she said. "In this country, people are disposable." Without robbing her of the right to make an observation about her own country's shadow side, treating people as disposable is a constant danger in any country where God's universal love is denied either in theory or (what's worse, when believers are involved) in practice. I'm glad that, in Russia, there are antidotes, such as this intriguing fascination with kindness. 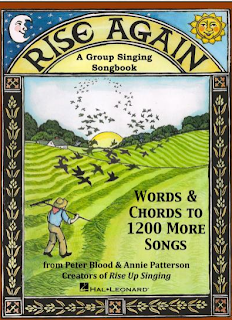 A heritage of kindness, justice, and cultural integrity in song: Annie Patterson and Peter Blood's new song collection, Rise Again, has a home on the Web. 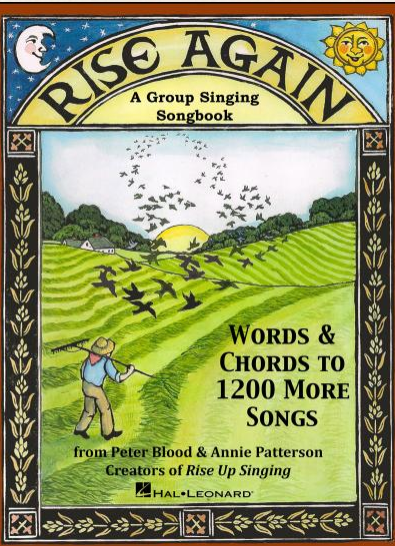 "Rise Up and Sing." In China, "Cracks in the Atheist Edifice." "The problems between our countries are between politicians, not Christians"--an interview with two Russian Protestant leaders visiting the USA as part of an ecumenical delegation. I would have asked some other questions--including some follow-ups--but the interview is interesting at face value. "What is Self-Righteousness and Why Is It Annoying?"